Happy Monday! I was always worried about finding cute things for our little guy since girl shopping was all we were used to! But oh my freak I have found so many fun and stinking cute things for Aden. I love following other Mama's on Instagram and discovering their favorite spots to shop and finding a few of our own must haves. 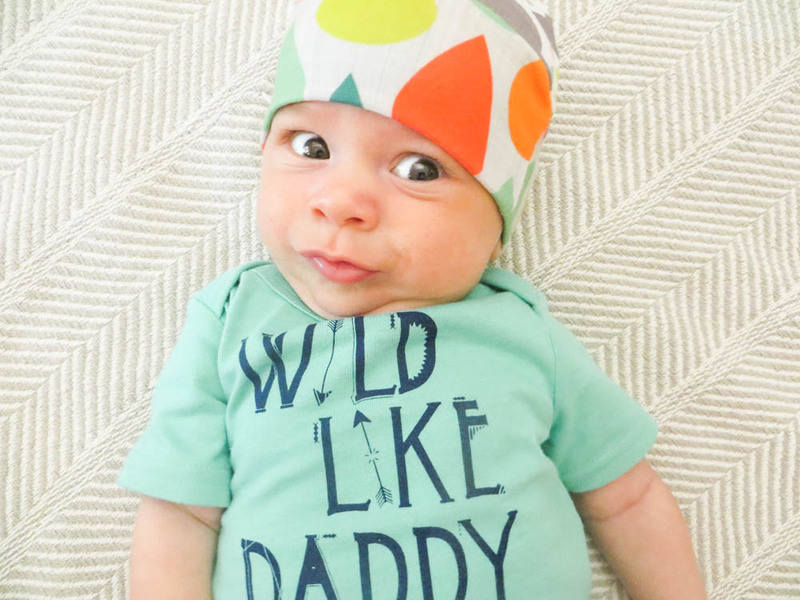 We have been trying to decide who Aden most looks like and I always say Adie looks like Eric but she gets my style :) and I think Aden is a good mixture of us both and his little personality is so fun to watch. I just ordered the tank romper and cannot wait to get it in the mail and take 564306 pictures of him in it! A good transition into fall with a knit sweater or even a jean jacket. 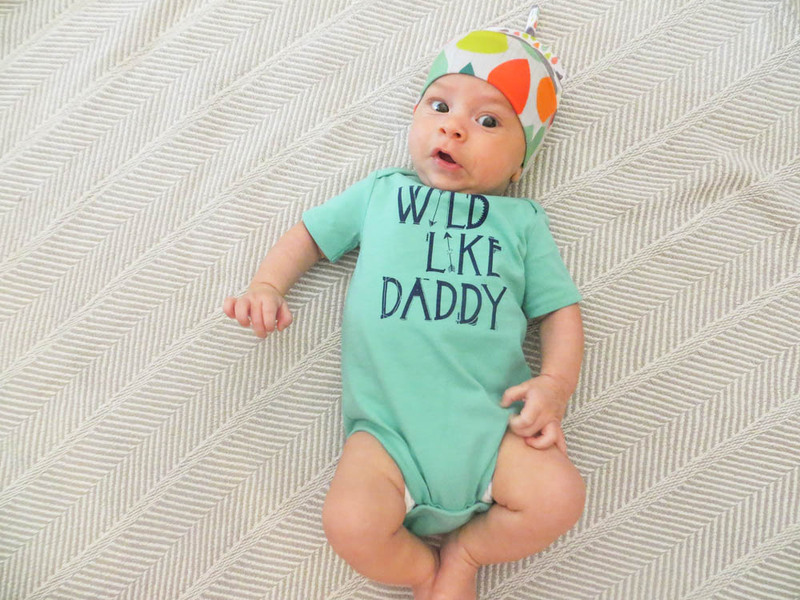 Peek Kids will always have something for both my babes and I love their style like crazy! Aden doesn't have too many toys right now since he just sleeps and eats but I am absolutely in love with the push toys. I cannot wait to have him crawling and playing with the little cars and dinos! So fun. We have been reading The Adventures of Beekle and LOVE it. It's all about imagination and right now Adie's is on fire, especially at 3 am. Such a fun story for everyone! 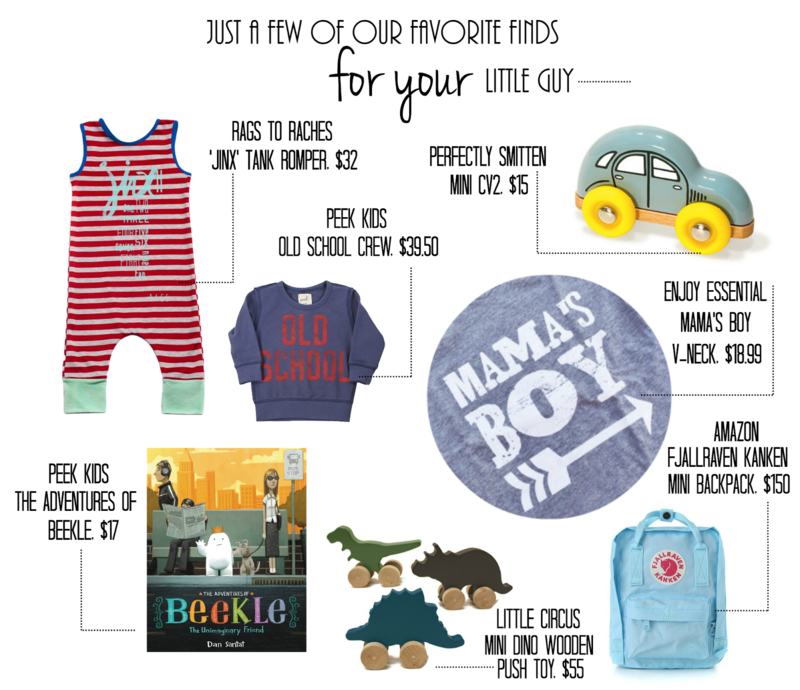 Eric teases me that I have a crush on Aden [duh] so that Mama's Boy tee will totally be a must. Of course we'll need a backpack and I have always loved the style of the Fjallraven Kanken backpacks and the light blue is perfect for our little guy.